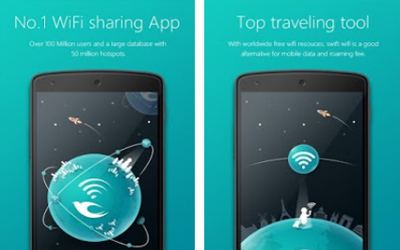 Swift WiFi APK 2.9.170 is an alternative way to access Wi-Fi point swiftly. The purpose of this smartphone application is to add and connect to Wi-Fi point easily. Users can also manage the Wi-Fi point from their smartphone. If you want to download and install this application to your device, you can find it in Google Play Store under the Tools category. This useful application is recommended for users who need to connect to Wi-Fi point all the time. When a certain Wi-Fi point has low network signal, users will be able to switch into other points with a single tap. In addition, it has useful feature such as on and off switch button. Users will be able to activate and deactivate the device Wi-Fi by tapping on the toggle button. Once the Wi-Fi device is activated, list of access points will be showed up.